Planning your scheme of PSHE for the year? Looking for interesting ways of reaching young people in informal settings? 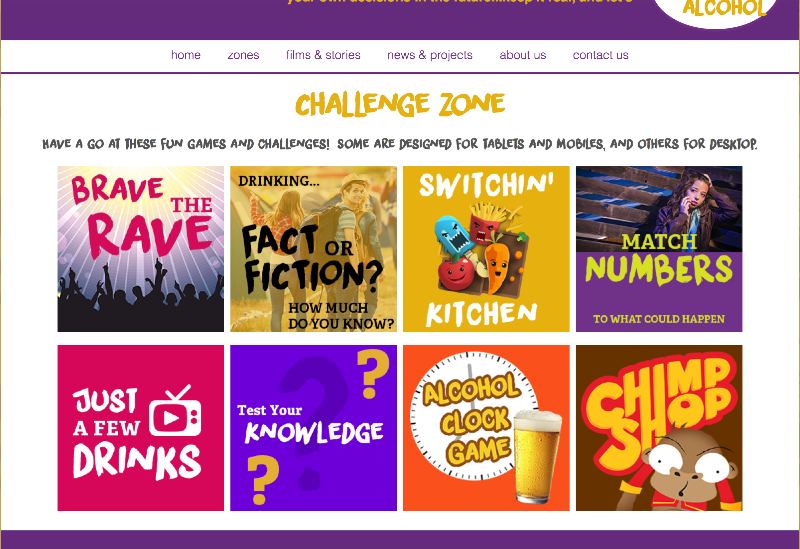 The www.talkaboutalcohol.com online learning zone is carefully built around changing social norms around alcohol and, through games, helps children subconsciously make wise decisions. Brave the Rave is a really fun (and rather addictive!) 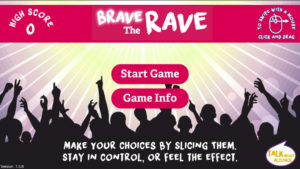 game which encourages young people to think about making sensible choices during a night out. Making wise choices such as food and water earn points but points are lost by choosing less wise options such as wine and beer. The game allows young people to learn about the choices they face on a night out and encourages them to pick wisely in a lively and engaging way! Fact or Fiction gives 10 statements about alcohol and young people then have to decide whether these are true or false. Once they have made their selection, further information about the statement is given. This a great way of pupils testing and increasing their knowledge on a variety of issues around drinking alcohol and its effects including the increase in risky behaviours. 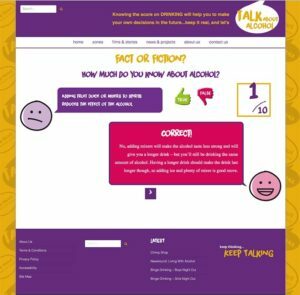 The www.talkaboutalcohol.com site is primarily aimed at Year 9 but has varying levels of activities suitable for Years 7 to 10 and is designed to appeal to young people in its look and feel. The development of the interactive and fun Learning Zone complements the highly evaluated Talk About Alcohol 100 page workbook of over 30 lessons and activities developed for teachers and community leaders to use with 11-18 year olds which is fully supported on-line with films and resources via www.alcoholeducationtrust.org.